You think you know Goodcents, but do you really? Here are 10 things that people are shocked to discover about Goodcents Deli Fresh Subs. Our founder is an anthropomorphic Penny that believed mere mortals had not yet discovered the secret to great sub making. We believe strongly in Mr. Goodcents. 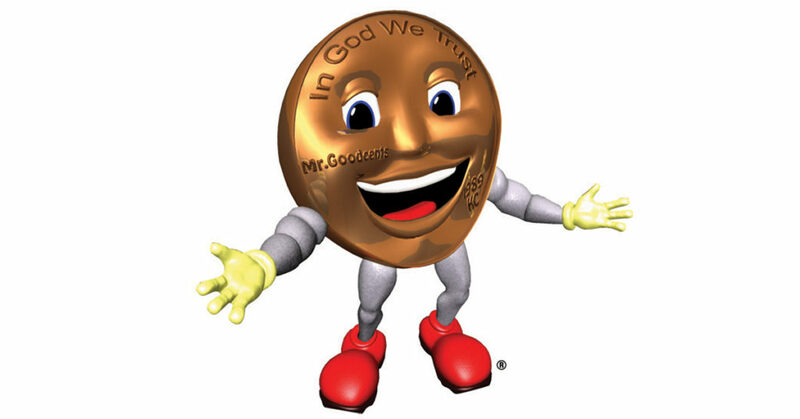 All hail Mr. G.
Every Goodcents is built on a magical portal that allows us access to mystical powers. These mystical powers are exclusively used to get guests the freshest, softest bread possible. Except for that one time Jerry opened a box labeled “Pandora’s.” We miss Jerry. Our cookies have a secret ingredient that we are legally bound to keep quiet about. People often joke about what drugs we must use in our cookies. We have no comment. Please, no follow-up questions. In fact, we’ve already said too much. All employees are required to pledge their allegiance to Subs. One of our main principles is Subs Are Life. Employees are also required to wear the sacred robes of standard dress during the ceremony. All employees who fail this initiation are never heard from again. There are 80 locations in this dimension. However, in a neighboring dimension, we have over 800 locations. In that dimension, we are known as Centsgood and everyone walks backward. We are headquartered in Kansas City. We have already tried to turn a giant shuttlecock into a restaurant and it did not work so please stop requesting that. We slice our meat fresh for every single order. We don’t really trust people who claim to slice their meat fresh every day though so that’s why we do it right in front of you. And also because the slicer really likes to show off. Jerry used to like to show off too. RIP Jerry. We used to be Mr. Goodcents. We changed our name to Goodcents Deli Fresh Subs because our anthropomorphic Penny founder shaved off his mustache, bought a sports car, and started going by his last name only in order to seem hip and young. If you map out the original 5 Goodcents locations on a map it actually forms a penny. The nonbelievers will say this is a simple circle but people who live by the way of the Penny know better. All hail the Penny!